Eric is one of owners of SnL Group, Inc and is the Vice President and Treasurer. 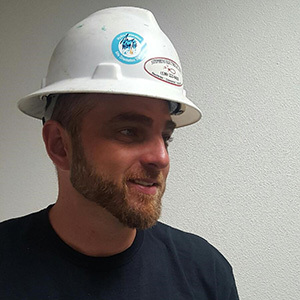 Eric has been in the construction field for many years and has extensive knowledge in all aspects of the business. 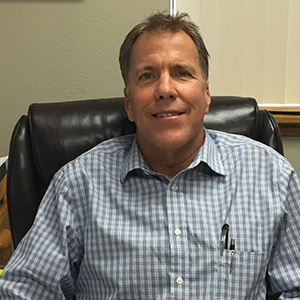 Since 2005, Eric has been an Electrical Contractor, owner and President of Stephens Electrical, Inc. Eric still believes in doing business the honest way, which is one of the reasons he has managed to thrive. When people ask, why would an electrician, an Electrical Contractor, purchase a paving & excavating business, Eric's response is “why not?” Eric is a very hardworking man that you can catch daily, saying with a smile, 'Just living the dream, man!' And if running two businesses weren’t enough, he also serves as a Board Member and Chair of Shasta Builders Exchange and IBEW Local 340. When Eric is not working or volunteering, he enjoys spending time with his family, friends, Nascar, fishing and watching sports. (Go Oregon Ducks!) Eric says one of his biggest joys is watching his daughters play basketball. He rarely goes a day without recapping one of their latest games and athletic accomplishments. Whether Eric is at work or relaxing with family and friends, he is just a genuine guy, thankful every day for what he has in life. Cynthia is the one of the owners of SnL Group, Inc and is President and Secretary. Frequently, people ask her how is it to work with your husband every day? She answers, “multiple personalities.” ‘Really, it comes down to this, running a business is a lot like raising our 2 daughters; challenging, stressful, difficult, rewarding and wonderful at times. Yet, we are partners in life, so it just makes sense to work together.' Cynthia and Eric have been working together as business partners since 2005. They are owners of Stephens Electrical, Inc. When not working or volunteering, Cynthia enjoys dancing, karaoke, board games, friends, a great workout and cleaning (very therapeutic). She and her husband both have a servant's heart. Perhaps, it's because they have both served in the United States Armed Forces. Cynthia serves as a Board Secretary at the Shasta Family YMCA, a Board Member of IBEW Local 340 and Trade School of Shasta Builders Exchange. In addition, she serves on the Community Impact Committee of their Local United Way. She is also a Rotarian and volunteers at our Local Good News Rescue Mission. 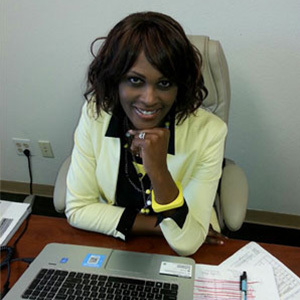 During the process of raising two daughters and starting other businesses with her husband, Cynthia earned a BA in Psychology from Simpson University along with Teaching Credentials from California State University, Fresno. Bringing the 'L' into SnL, Tim Lewis has over 25 years’ experience in the excavating and paving industry. Growing up on a 2,500 acre ranch, he spent countless hours laser leveling farm acreage and building roads. It was a natural move for him into the construction industry. He has developed a set of skills that is essential for the successful completion of projects. His superb knowledge and organizational skills ensures quality work and a safe working environment. Besides having his General Engineering and General Building License, he is a Certified Erosion, Sediment, Storm Water Inspector and Qualified Storm Water Practitioner. Tim has a zest for life and is consistently improving in both professional and personal aspects. He states, “I am still devoted to increasing my knowledge and keeping current with laws established by the Contractors State Licensing Board and Regional Water Quality Control Board.” When Tim is not hard at work, he enjoys time with his grand kids and traveling with his lovely wife Audrey. He stays active hiking, scuba diving, snow skiing and Cross-fit training.